A few years ago I should have laughed to scorn anyone who dared predict that I should ever make such a statement, but now it is my firm and unalterable belief that the Banshee is a reality. There is not a shadow of doubt in my mind as to its actual existence. I am an Englishman not an Irishman; I am not superstitious, and I certainly do not believe in ghosts, for I have never seen or in any way come in contact with one. Why this impression should have gained such a hold upon me I am entirely without explanation! A few years ago it was my fortune to pay a visit of several months’ duration to my wife’s mother. This lady was not only Irish by birth — she came from one of the oldest stocks — but in temperament and character also; in her the supernatural was almost a sixth sense. Many instances did she relate to me of the appearance of the Banshee; in her family the forewarner of death took the form of music. Many years ago a distinguished ancestor was travelling on the Continent, while the wife remained at home with a lady companion. This companion was of a romantic and nervous temperament; she imagined that every man who cast his eyes upon her at once fell desperately in love, and this conception had a very disturbing effect upon her. One morning she reported that during the previous night she had been serenaded by one of her unwelcome admirers. Being fully aware of her companion’s foible the lady took no notice of the matter. But, when the same statement was made on the following day, she resolved to prove that the serenading existed only in her companion’s vivid imagination. That evening she sent her servants out to search the grounds. Of course, they found nothing, but again the companion averred that she distinctly heard the sounds. The next evening the two ladies sat up together, determined to solve the mystery. Suddenly they heard the faint notes of a harp. The lady went to the window, opened it, and stepped out on to the terrace. There she heard the sound more plainly; the sweet music seemed to encompass her, to float on the air around her, to echo within her; there could be no doubt about it. Awed and wondering, she returned to the house. A few days later — news travelled but slowly in those days — she received intelligence of her husband’s death. Another instance, The Banshee of a certain family consists of the hunting of a ghostly pack of hounds. The head of this family was once lying ill, but the malady was not expected to prove fatal. One evening the wife of the invalid heard a moaning and crying in front of the house. She went out to see what was the matter, and found all the tenants gathered together, some of them having come many miles. “Th’ poor master! ‘Tis dead he is!” they answered. The very next day the sick man gave up the ghost! 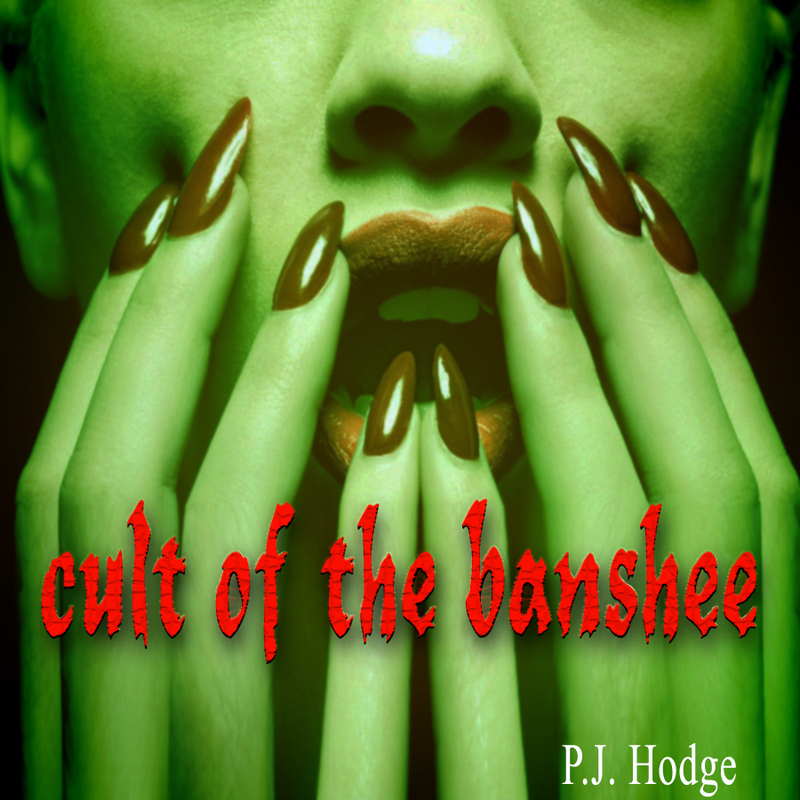 But now for my own experience, the story of my conversion to the cult of the Banshee. One evening during the aforementioned visit to Ireland I had retired to bed, and was somewhat irritably waiting for my wife, who was dawdling about the room, to turn out the gas. All at once she stood still in a listening attitude. I, also, certainly heard something, but to me it was like the mooing of a cow in the distance. “Oh, come on, hurry up. You will catch cold,” I exclaimed. “Hush! Did you hear it? Who can it be?” she said, as she went to the open window and leant out. To satisfy her I got out of bed and also went to the window. It was a beautifully fine night, scarcely the suspicion of a breath stirred the air, and a bright, full moon shed a clear light upon the landscape. It was chilly, and a slight touch of frost added crispness to the atmosphere, which enhanced the visibility of distant objects. Not another sound broke the stillness, not even the baying of a dog or the rustle of a tree. But the all-pervading sound which occupied our attention was distinct and engrossing; natural as it was at times, at others it was weird and uncanny. From memory and in cold blood it is somewhat difficult to describe. At first it seemed, as I have said, like a cow mooing on the hill behind the house, and I laughed at my wife for trying to make a mystery of it. But my laugh was cut short, for suddenly the sound resolved itself into a long-drawn wail close beneath me. Then, again, I thought it came from the back lane, like a woman crying. Sometimes it was far away, sometimes close at hand, even in my very ear. I could not understand it, and announced my intention of going out to see if there was anybody in the garden or the back lane, despite the protestations of my wife. I left the house and passed through the wooden gateway into the garden. I had stood still for a moment, adjusting my vision, when I perceived a slender-framed woman, hunched over the lawn, her back towards me, digging furiously. The woman instantly stopped, as if frozen to the spot. The woman turned round suddenly, and I received a most horrid shock. The light was thin and fading, for it was late, but what little there was appeared to be entirely concentrated on the face before me, illuminating it with an aura that attached itself like some ghostly shroud. Under this supernatural light, I was able to make out a broad face with very pronounced cheek-bones; a mouth of inhuman dimensions, the thin lips of which were fixed in a grotesque and mocking leer; and very pale, crooked-set eyes that glowed banefully as they met my gaze. For some interminable seconds this unholy figure stood in dreadful silence, apparently delighting in the discomfort her appearance had effected, and, then, suddenly shouldering her spade, she moved away with a kind of gliding motion, turning round every now and again to cast the same rancorous look at me, until she came to the hedge that separated the garden from a long disused stone quarry, when she seemed instantly to fade away in the now twilight, and disappear. For some moments I stood silent, unstirring, but continued gazing after her in a kind of paralysed astonishment. I started off, but had only gone a few yards, when, apparently from the direction of the quarry, came a peal of laughter, so mocking and indubitably evil, that I felt I had little choice but to quicken my steps, until I had reached the house, which I hastily entered, securely closing the door behind me. I explained to my wife what had occurred. I listened but did not make any such promise for I felt sure that her mother would know something of the woman. At breakfast next morning I related not in a serious way, my experience. My hostess’s only comment was this remark: “We shall have news to-day!” It appeared that my sister-in-law and brother-in-law had also heard crying about the house. My wife’s mother had a very dear friend, a native of the town in which we were staying, who was in a Dublin hospital, suffering from an incurable disease. This lady had often stayed for long periods in this very house. Just before twelve o’clock an old retainer of her family came up to ask if there was any news, and he was closely followed by a countrywoman with the same query. They had both heard the weird, mournful cry, and set about waiting confidently for news of the said woman’s death. It soon came to pass that a death was announced, proving our hostess right, although the latter surmise was not correct. 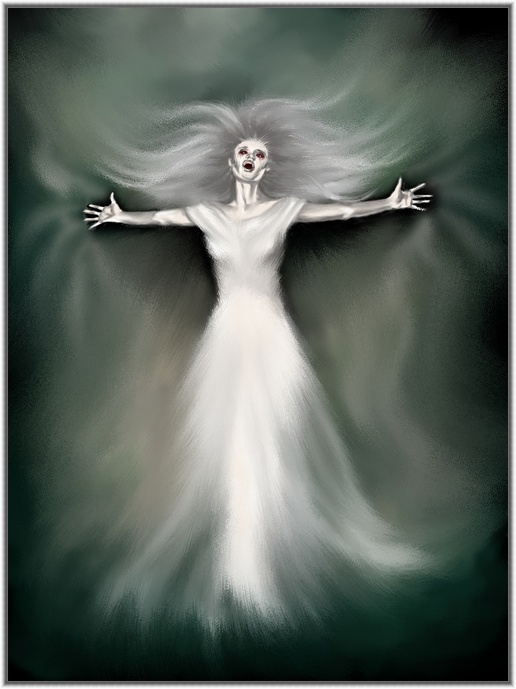 Within a few days of the Banshee’s visit my wife’s mother had taken to her bed complaining of stiff joints and a high temperature and, in no more than a few hours, had died of an ailment the doctor was entirely unable to identify. Fascinating! And the old crone was digging a grave. Thank you for this site! I love it!